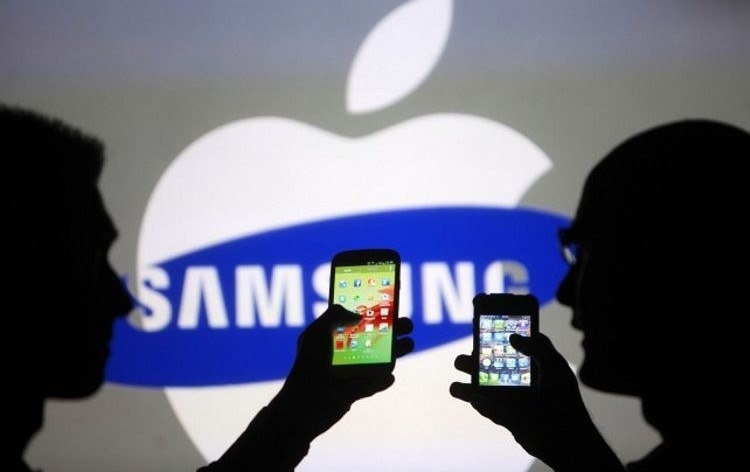 The seemingly everlasting Samsung versus Apple patent case took another turn today, after a federal court banned the Korean company from selling some of its smartphones in the US. The handsets in question are so old, however, that most aren’t even on the market anymore. Judge Lucy Koh of the US District Court for the Northern District of California granted an injunction against the Samsung devices that have features that infringe on Apple’s patents. These include slide-to-unlock, quick links, and automatic word correction. Judge Koh ruled in August 2014 that the $199.6 million Apple gained from Samsung for patent infringement was sufficient, and refused to grant the Cupertino company’s request to ban the handsets. But the US Court of Appeals for the Federal Circuit disagreed, and remanded the case back to the lower court for further proceedings. "The court finds that Apple will suffer irreparable harm if Samsung continues to use its use of the infringing features, that monetary damages cannot adequately compensate Apple for this resulting irreparable harm, and that the balance of equities and public interest favor entry of a permanent injunction," Koh wrote in her filing. Seeing as nearly all of the handsets are no longer sold in the US, Apple’s victory is more symbolic than anything else. Samsung has made its thoughts clear on the matter: "We are very disappointed," a Samsung spokesperson told Bloomberg's South Korea bureau in a statement. "While this will not impact American consumers, it is another example of Apple abusing the judicial system to create bad legal precedent, which can harm consumer choice for generations to come." Many large tech firms are concerned that the Apple vs Samsung patent battle will open the way for more patent trolls to file lawsuits. It was reported yesterday that a number of Silicon Valley’s largest firms, as well as many nonprofit organizations, have voiced their support for Samsung by filing friend of the court briefs in the Supreme Court case. They are asking for design patents to be defined more accurately and damages for patent infringement to be limited.